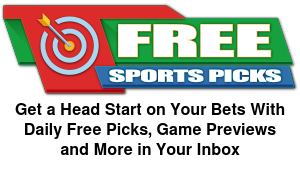 We are proud to announce this years NFL Freeroll contests will be run at FanPicks! They have hooked us up with a sweet deal once again. This is a FREE TO JOIN contest with an added prize pool of $50 in vouchers with an extra shot at winning a Million Bucks!! First, you need to sign up for your new account at FanPicks.com using promo code “Spooky“. You get a Free $10 Voucher just for signing up with our bonus code. Once you have an account, you can enter into our FREEROLL (details to the left) with a chance to win some prize money ($50 in vouchers added). And if you GO REAL BIG with your score, you can actually win $1,000,000!!! See the thresholds below for those payout amounts. So what are you waiting for? Get signed up at FanPicks and enter the NFL Conference Championship Freeroll contest courtesy of SpookyExpress and FanPicks on Sunday January 20th. You can register with up to 2 (two) entries!!! Thresholds to Hit & win BIG REAL BIG! Be advised threshold winnings will be credited the following day. SIGN UP HERE — AND PLAY IN OUR FREEROLL FOR NFL CONFERENCE CHAMPIONSHIP! SEE YOU AT THE TOP!